A cornerstone of governments’ approach to the opioid overdose crisis has been monitoring and restricting prescriptions of opioids to patients in pain. Restrictionists point to the so-called “pill mills” rampant in the earlier years of this century, particularly in South Florida, and the Appalachian region, that churned out hundreds of millions of prescription painkillers. The pill mills weren’t indicative of how the overwhelming majority of doctors practice pain management. While they are largely gone now, pill mills are an example of what happens when drug prohibition intersects with the third-party payment system. Drug prohibition creates lucrative black market opportunities for people willing to sell drugs illegally. 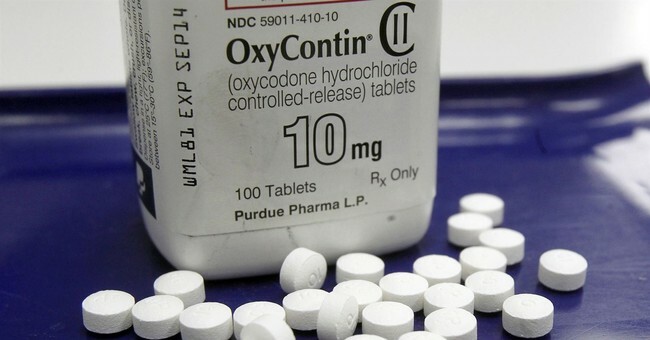 In 2011 federal law enforcement reported the street price of OxyContin was $50 to $100, compared to the legal price of roughly $6 at the pharmacy. In fact, when Florida clamped down on its pill mills the street price of a single OxyContin pill rose from $8 to $15. This lure of easy money tempts corrupt doctors and pharmacists to leverage their degrees to nefarious ends, especially because they can use the third party payment system to “double-dip:” they get paid by drug dealer middlemen for churning out and filling prescriptions which then get sold on the black market, and at the same time get reimbursed for their “services” by Medicare, Medicaid, and insurance companies. Some doctors operated alone, like Dr. Alvin Yee, the Orange County doctor who met “patients” at Starbucks and essentially sold prescriptions of OxyContin, Vicodin, and Xanax, for as much as $600 per meeting. He was sentenced to 11 years in prison in 2013. But oftentimes it was more elaborate and involved a team of players. An example is the Florida scheme where drug dealers paid professional “patients” $600 to visit a set of South Florida pain clinics where they would receive narcotics prescriptions from the doctors even though they didn’t need them, and then fill the prescriptions at one of four Robert’s Pharmacies. They then gave the filled prescriptions to the dealers who sold them on the black market while the pain clinics, doctors, and pharmacies billed Medicare, Medicaid, or private insurers for the services provided. This team approach became so well-organized in Florida that addicts from around the country were recruited to visit these pain clinics, often with added perks like gift cards, plane tickets, and trips to strip clubs and casinos. So many flocked to Florida to cash in on the black market opportunity that Florida was nicknamed “Oxy Express.” Florida has since cracked down on these schemes, and the majority of pain clinics have been shut down. In July 2017, the U.S. Justice Department charged 412 people nationwide, including dozens of doctors, with these opioid-related schemes. They alleged about 50 doctors billed Medicare and Medicaid for drugs that were never purchased, collected money for false tests and treatments, and gave out prescriptions for cash. Yet the overdose crisis keeps getting worse, and state and federal legislators remain fixed in their belief that getting doctors to prescribe less pills to their patients in pain will cut the overdose rate. Such efforts have led to a 41 percent reduction in high-dose opioid prescriptions since 2010, yet the overdose rate continues to climb, rising 20 percent from 2015 to 2016. More and more patients go undertreated for pain or get cut off entirely from their pain meds. Some, in desperation, are turning to the black market or even suicide for relief. Study after study show prescription opioids given to chronic pain patients have a very low addiction rate, and an even lower (0.6 percent) rate of “misuse” when given for acute pain. The opioid crisis was never a result of doctors treating patients. It was always about non-medical users seeking drugs in the black market, and the financial incentives that market offers to dealers. The deaths won’t stop until prohibition stops.